All The Printed Jerseys Fabrics & More! We’ve just had a whole stack of amazing new fabrics arrive here at Fabric Godmother HQ. From bright jerseys and amazing value wool mixes to pineapple satin and printed viscose, I bet there will be something here to catch your attention! 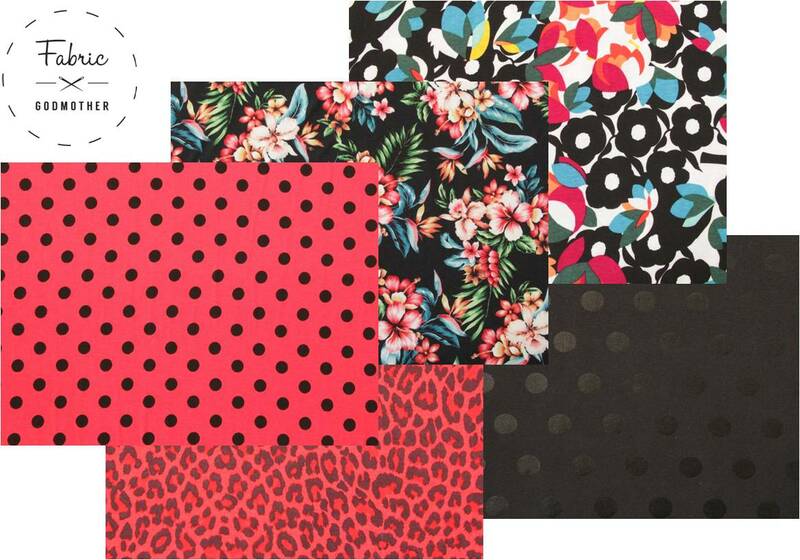 Let’s start with this fabulous collection of viscose jersey fabrics starting from just £8 per metre. Have you heard about the #monetaparty that is being hosted over on Instagram by The Triple Stitchers? @rach_wain @sewpositivity and @sewabigail are joining forces to celebrate all that is great about the sewing community. Head over to Instagram to find out all about it. 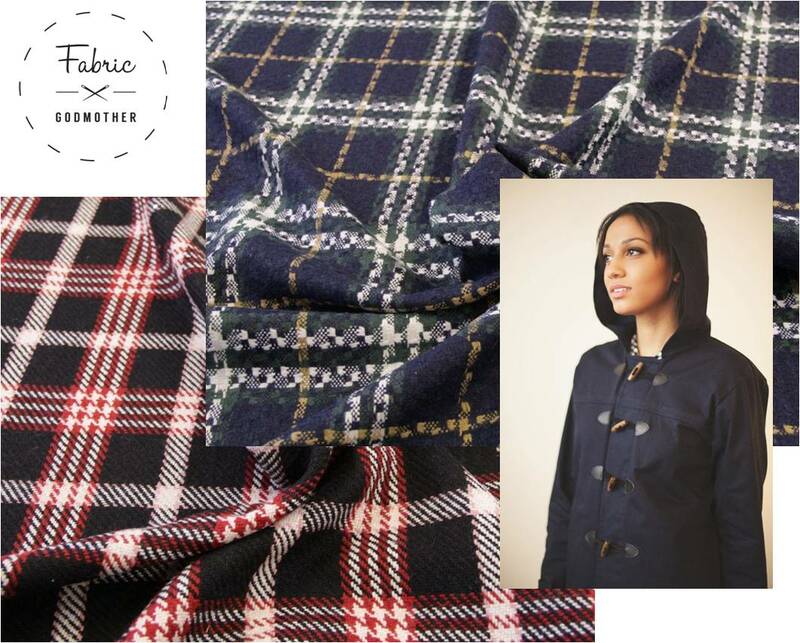 This Wool mix coat or skirt weight fabric is amazing value at just £8 per metre. The large scale check of Celine is bang on trend and perfect for a fun duffel coat. Use this pretty Ditsy printed viscose to make a transitional blouse like the Mathilde perfect for layering through till spring. At only £8 per metre it is a perfect addition to your wardrobe. Don’t want to wait for summer? Fear not! 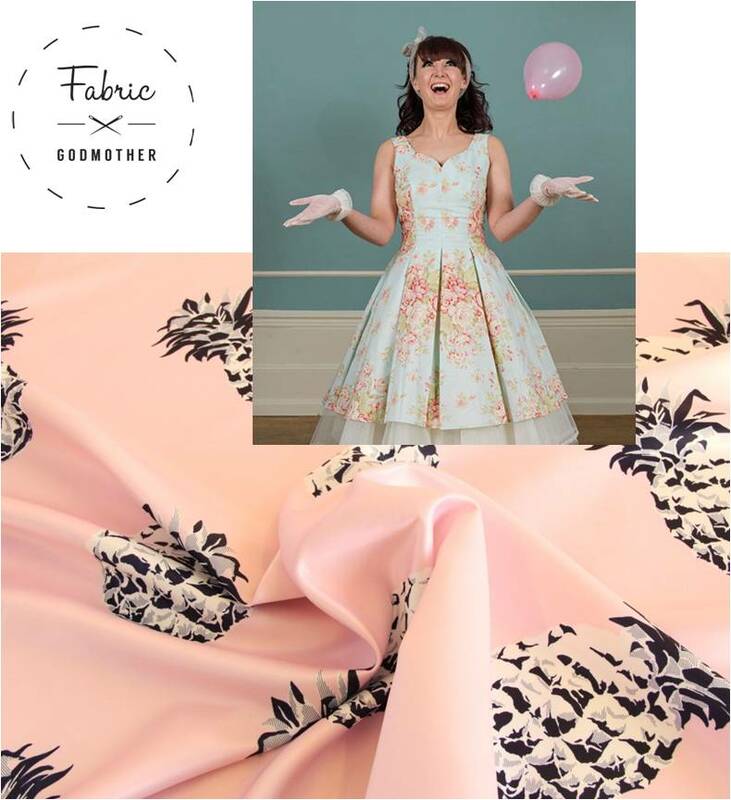 This Pineapple print pink satin is only £5 per metre, it doesn’t get much sunnier than that. It has quite a lot of body so ideal for a bold party dress like this one. 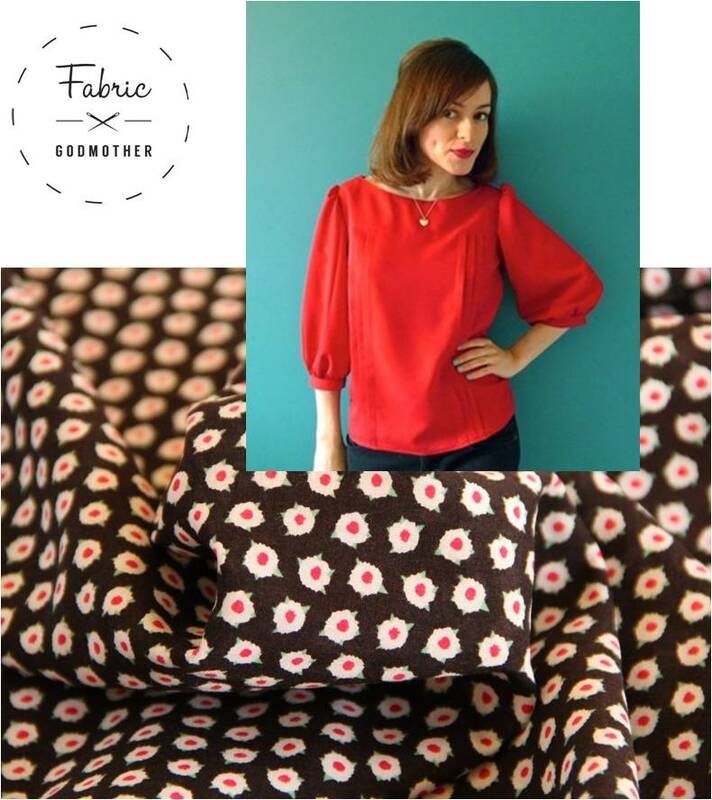 Printed Crepe De Chine and Chiffons For Your Dream Blouse!